By John Fulton on July 19, 2016 . Filed Under: Website Imagery. In my last article, I illustrated how coupling imagery with your content is the easiest method to grab your viewer’s attention and increase retention of your message. However, if finding the right image for the right price is too daunting and time consuming a task, Custom Photography might be your solution. There’s no better way to procure tailored imagery than by producing a photo shoot and hiring a photographer, but photo shoots are not a guaranteed win and can be expensive. Before Googling local photographers, it’s imperative to clarify your goals. Start by specifying your parameters: the number of images you’ll need, your budget, and the composition of your images. Consider the smaller line items that add up. For example, will models, props, location, or wardrobe be needed? Get resourceful if your ideal photographer is outside your budget, by asking for a recommendation that better suits your price range. Oftentimes, a photographer will refer you to a first assistant or up-and-coming image maker who’s hungry for work and will work with your budget. Photographers are more likely to work with a lower budget and are more likely to put in extra effort on your project if it’s a shoot they are interested in or believe has the potential to bring in future clients for them. Find an up-and-coming photographer building their portfolio and start a conversation! But, please remember: exposure is not compensation. When you’re working with a humble (or non-existent) budget, it’s tempting to offer a photo credit or weblink to an artist as compensation. This is a poor practice and rarely beneficial to the artist. Since there are several different commercial photography pricing models (outlined in my previous article), pay attention to your licensing agreement. Confirm that your needed usage is included in the photographer’s fee. For small businesses and nonprofits, it’s generally a smart practice to seek a one-time, flat fee with indefinite and unlimited usage of the images taken during a photo shoot. Finally, be sure that any estimate you receive includes retouching and communicate clearly beforehand what retouching needs you foresee being necessary. Digital alteration can be a significant part of the photography process. There are no good or bad images—only effective and ineffective ones based on your goals. Know what you want your images to look like, and make sure you communicate exactly what you’re looking for. The commercial art world works in adjectives when describing what they want to see and you should, too. How would you describe the “look” you’d like in your images? Gritty, clean, high key, edgy, glowy, natural, and even “Instagramy” are just a few examples of common industry terms. Find images that are similar to what you want and discuss them with your photographer. Visual references of what you want are extremely helpful to an artist. Everyone owns a camera of some sort and—let’s be honest here—stock photography can be expensive and searching for the right image at the right price can be time-consuming. Why not gain more control of your visual content and save money by being your own photographer? Not all types of images are easy to make well—especially if the goal is to present your brand in a refined, professional way—but, there are several types of images that are lower on the learning curve and can be great place to start image making. There may already be excellent images available for licensing from stock photo sources that feature your service. Do your research. 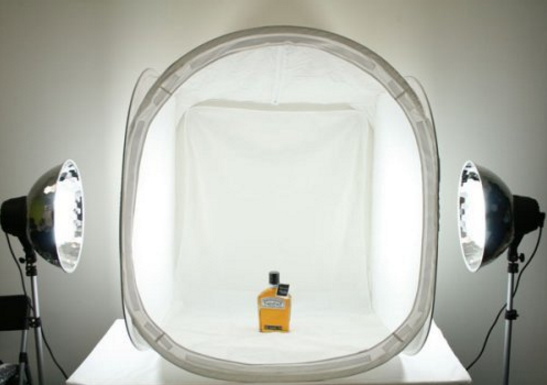 If they’re not available, this could be your opportunity to plan your first shoot. Many small businesspeople start their foray into photography by shooting their own products. If your company sells products, this is an area you should consider handling yourself, since it’s highly unlikely that you’ll find suitable stock images. 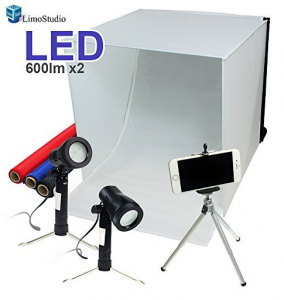 There are myriad inexpensive photo studio kits already available online that can help streamline your workflow and increase the quality of your results. I have some favorite user-friendly options for a camera phone and for any camera. Viewers are often more forgiving of images published through these channels where they can be less polished, more authentic, and share a peek “behind the scenes” of what your company is and does. These channels are ideal for developing your eye and sensibilities as a budding image maker while also keeping the impact on your brand continuity at a minimum. Portraits are images of yourself, staff, or vendors. It can difficult to fairly judge images of yourself, so if you’re planning on shooting some selfies, get opinions from others when choosing which to associate with your brand. Consider picking up an image editing app like Photoshop Elements and changing the look of licensed stock images that have the right content but the wrong vibe. You can even use mobile apps like Photoshop Express and Photoshop Mix. There are also online image editors that let you change your images, apply filters, and export—try Photogramio and BeFunky.